I was hurt at work and thought my employer was handling it. Now I’m not so sure. How do I know when it’s time to hire a lawyer? Hiring a lawyer is a big decision. If you’re like most people, you never anticipated needing to file a lawsuit against your employer. Now, you’re hurt and faced with the reality that you might not have the type of support you thought you would from your boss. A shift in your boss’s demeanor is common. 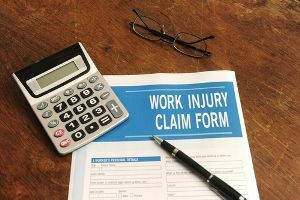 Your boss is working closely with the insurance adjuster on your case and has probably been advised to limit communication with you about your injury. With your boss already trying to negotiate your claim, you are probably feeling overwhelmed and worried that no one has your best interest in mind. Here are a few ways you will know if it’s time to hire a lawyer. Your employer sent you to get treatment from a new doctor and you’re not happy. Your health is your top priority right now. You need to work with a doctor who makes you feel comfortable and who gives you the type of care you need. If the doctor your employer sent you to is not helping, talk to a lawyer to find out what options you have available. You don’t trust your doctor’s intentions. Similarly, if you’re getting decent treatment but feel pushed by your doctor to get back to work before you’re ready, you might need a lawyer. The insurance company is pressuring your doctor. They’re trying to get you to go back to work before you’re completely healed. You have the right to select a doctor from a panel of doctors. A lawyer can help you check the panel of physicians and find someone better for your injuries. You feel more like a liability than an employee. One of the biggest fears people have when they are hurt at work is that they will get fired if they hire a lawyer to protect their rights. The truth is, if you already feel like a liability to an employer, your job might already be on the line. Although it is illegal to fire you because of a workplace injury, there are ways that your employer can still let you go. With a lawyer on your side, you can get the maximum amount in your settlement if this happens, putting your family in a better position.